Goalkeeper: Petr Cech has announced he’ll retire at the end of the season and it will be sad to see such a legend of the game no longer playing. However, Cech will see out his final few months at Arsenal as Bernd Leno’s back-up as I expect the German to keep his place between the sticks. Defence: Emery started with a back three once again during the 1-0 defeat to West Ham last weekend and I think the boss will deploy the same system against Chelsea despite our poor performance at the London Stadium last time out. Laurent Koscienly has slowly got back to match fitness after so long out with an Achilles injury but he looked a lot sharper against the Hammers and I think we’ll see him keep his place alongside Sokratis at the back this weekend. Shkodran Mustafi started against West Ham after recovering from a niggling hamstring injury while Nacho Monreal is also an option after returning to the bench last week, I think Mustafi will keep his place. Midfield: Lucas Torreira was surprisingly named on the bench against the Hammers and I would be stunned if the Uruguayan international wasn’t recalled against Chelsea on Saturday evening as he’s been an excellent addition to the squad since arriving last summer. Granit Xhaka had another game to forgot last time out as his poor headed clearance led to the West Ham winner and he was hauled off midway through the second half. However, I still think Emery will stick with him so Matteo Guendouzi could be the man to make way. New Customers can get Arsenal at an enhanced 50/1 to beat Chelsea. Max Stake £1. Winnings paid in free bets. Full T&Cs Apply. 18+|Gamble Aware. Sead Kolasinac seems to have made the left wing-back role his own with some impressive displays this season so he should retain his place but I think we’ll see Hector Bellerin being recalled on the opposite flank after making his injury return off the bench at West Ham. Ainsley Maitland-Niles will drop out after a poor showing last weekend. 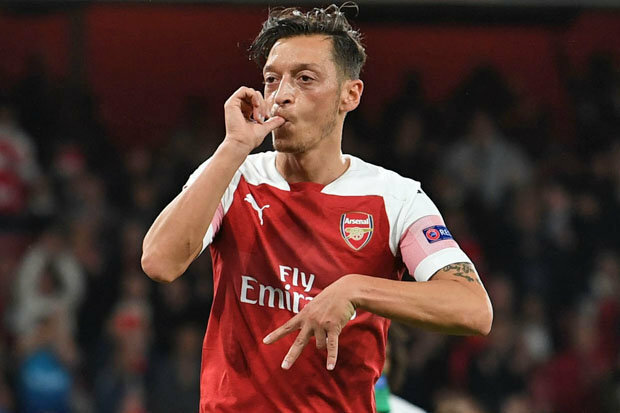 Attack: Mesut Ozil was once again left out of the entire squad away to West Ham but Emery hinted at his press conference this afternoon that he’s ready to recall the German playmaker and I wouldn’t be surprised to see him start against Chelsea. Some of Ozil’s best displays have come at home against the bigger clubs and we desperately need to add some creativity to the attack. Alex Iwobi was one of our better players last weekend but he doesn’t have the end product of Ozil and we need someone to feed Pierre-Emerick Aubameyang and Alexandre Lacazette up front. 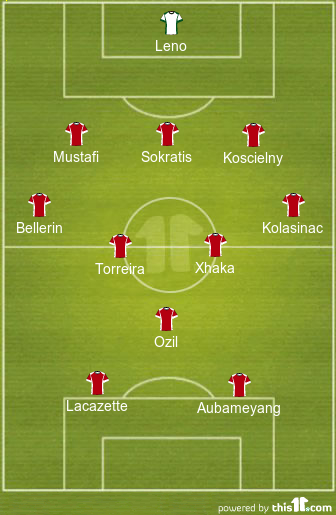 If Emery goes with both his star strikers up front once again then I think Ozil will get the nod but if he drops Lacazette in favour of a more defensive system then Iwobi should keep his place. Henrikh Mkhitaryan is set to return to full training next week but for now he remains out with a foot injury and will sit on the sidelines along with long-term injury victim Danny Welbeck. Aaron Ramsey is rumoured to have agreed his free transfer move to Juventus ahead of the summer and while I thought he was excellent off the bench last week, he’ll probably have to make do with a place among the subs against Chelsea. Wish you well my favourate OZIL.